Olympe would have been proud of you: beloved comrades. I have but a moment to spare, but this moment will hold the attention of the most distant posterity. Olympe de Gouges. The original Declaration of the Rights of Women. 1791. 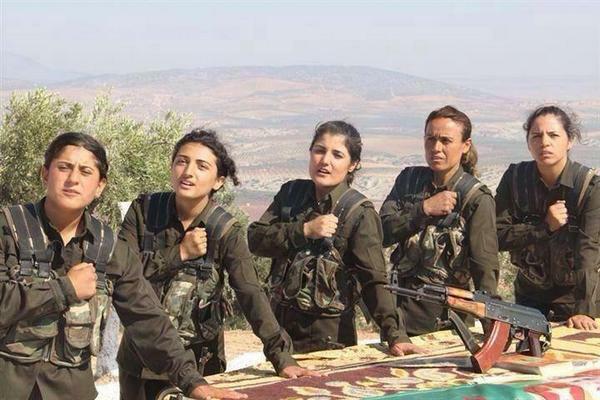 The whole world is talking about us, Kurdish women. It has become a common phenomenon to come across news about women fighters in magazines, papers, and news outlets. Televisions, news sites, and social media are filled with words of praise. They take photos of these women’s determined, hopeful, and radiant glances. To them, our rooted tradition is a reality that they only recently started to know. They are impressed with everything. The women’s laughter, naturalness, long braids, and the details of their young lives feel like hands extending to those struggling in the waters of despair. There are even some, who are so inspired by the clothes that the women are wearing, that they want to start a new fashion trend! They are amazed by these women, who fight against the men that want to paint the colours of the Middle East black, and wonder where they get their courage from, how they can laugh so sincerely. And I wonder about them. I am surprised at how they noticed us so late, at how they never knew about us. I wonder how they were so late to hear the voices of the many valiant women who expanded the borders of courage, belief, patience, hope, and beauty. I do not want to complain too much. Perhaps our eras just did not match. I just have a few words to say to those who only now begin to notice us, that’s all. Now one half of us is missing. If there is no past or future in your environment, one feels like a sound, an upsurge that gets lost in the black holes of the universe. The excitement and beauty of today can only be measured by those who were able to carry it to this day and their ability to carry it further to the future. In the cry of Zîlan (Zeynep Kinaci), who detonated herself in 1996 is the breath of Besê, who threw herself off the cliffs in the Dersîm uprising in the 1930s, saying “You cannot catch me alive” and that of Berîtan, who surrendered neither her body, nor her weapon to the enemy, when she threw herself off the mountain cliffs in 1992. It is the reason why YPJ fighter Arîn Mirkan made a mountain wind blow through a desert town, when she detonated herself rather than surrendering to ISIS, in order to cover her retreating comrades in Kobanê this October. In the hearts of the Yezidi women, who take up arms against the men with the black flag is the homesickness of Binevs Agal, a Yezidi woman, who joined the guerilla from Germany in the 1980s and crossed continents to return to her country. In the words of Ayse Efendi, the co-president of the Kobanê people’s assembly, “I will die in my homeland,” is hidden the odin of the rebellious Zarife, who fought in the Dersim uprising. In the smile of the YPJ fighter, who poses with her child while carrying a rifle, is the hope of Meryem Colak, a psychologist, who chose to fight in the mountains and who often shared with us her longing for the daughter she left behind. Deniz Firat, a Firat News journalist, who was killed by ISIS in Makhmur in August, learned to search for truth from Gurbetelli Ersöz, a journalist and guerrilla fighter who died in clashes in 1997. Sema Yüce (Serhildan), who set herself on fire in protest in a Turkish prison in 1992, whispered the secrets of the fire to Leyla Wali Hussein (Viyan Soran), who self-immolated in 2006 to draw attention to the situation of Abdullah Öcalan. Those who today wonder about why the “Girl with the Red Scarf”, a Turkish girl, who was disillusioned from the state after the Gezi-Park protests, would join the mountains, would have known the answer if they had known Ekin Ceren Dogruak (Amara), a Turkish revolutionary woman in the PKK whose grave stone says “The girl of the sea who fell in love with the mountains” and Hüsne Akgül (Mizgin), a Turkish guerrilla fighter of the PKK, who died in 1995. Those surprised at the US Americans, Canadians joining the YPG are those who do not know Andrea Wolf, a German internationalist in the PKK, who was murdered in 1998 and whose bones were thrown into a mass grave, and whose memorial could not be tolerated by the state. Our calendar did not run parallel to the world’s calendar. These women’s gaze was focused on the depths of the far distance, their steps were fast. In order to bring the future closer, they were so impatient that they did not leave a single bridge behind. These two reasons kept us apart from the realities of the world. That is why the world did now know the women in the mountains, tens, then hundreds and later thousands of them, in the same time frame. Now it’s time to combine calendars, to set clocks. It is time to tell these women’s life stories that swung between dream and reality, their happy moments that sound like fairy tales, the ways in which loss has proven to be our most egregious teacher in our quest for truth. Now is the perfect time to entrust what I was able to carry from the past to this day. In order to join the world’s calendar, I will carry our past to the present. May my past be your present. I wake up on a cold spring morning of Cirav in 1997. I throw the nylon, moistured from the frosty night, off me and I see a face, different from those of the swarthy warriors, in front of me. As if the sun had only mildly radiated on this face. As if her hands, her smile described elegance and nobility. I am happy that a warrior who is newer than me had arrived, that I had become a little old. I later find out that I had a five-year guerrilla in front of me. At the time, I knew only her code name; Zinarîn… If it wasn’t for the white strings in her hair or the way sorrow sometimes carried her smile away, you would not understand that she had been a guerrilla for five years. I am unaware of the pains she experienced, the sacrifices she made in her quest for truth. I am going crazy, being curious about what she is writing into her notebook, as she takes refuge under the shadow of a tree. The feelings that she felt in the short life that I shared with her, I later read in Zinarîn’s diary after her martyrdom. I am in autumn 1997. A day on which the weary feet of autumn try to drag us towards winter. A day in which sorrow does not conquer Haftanin, but our hearts. I learn about Zinarîn’s martyrdom months later. I’m still vulnerable to the pain of loss. As I wander around with unchained rage, Meryem Colak reads on my face how my soul boils with pain. As I stopped talking to anyone upon Zinarîn’s death, she asks “Are you mad at us?” and answers the question herself “Don’t be angry at us, be angry at the enemy”. From that day on, my immunity towards loss increases. A few months later, I learn that Meryem Colak, when heading towards Metina in order to exit the operation field with a group of women on her side, was killed in a tank ambush. I learn from the witnesses of the moment that she spent her last energy to speak not to send greetings to her daughter, but to entrust her companions with her weapon, cartridge belt and codes. It is 1999. I am in the Zagros mountains that did not permit Alexander’s army passage, but where the guerrilla managed to open paths. We are halfway through a long journey that would last a month. With me is the 22-year old Sorxwîn (Özgür Kaya). Our Sorxwîn, who allows the mountain conditions to rule over her body, but who will not allow her child’s heart to submit to the laws of war. A commander, a companion, a woman, and a child. Each one of her identities adds a different beauty to her. The best part of the one-month long arduous journey is her cheering us on to keep marching. Of course it was this child called Sorxwîn that invented children’s games to give us strength. Mischievously laughing, she says “This is nothing. I can carry a BKC with 400 bullets on my back, so I will climb this hill in four hours without a break”. I have no long words to express my deep feelings for our beloved comrades. I simply want to say: love and utter solidarity. Hope lies with the youth! While much of the media is entranced by Nigel Farage (The Times even naming him “Briton of the Year”), it seems that young people in the UK have seen through his unpleasant charlatan and his ultra-reactionary party. According to a poll by ‘Opinium’, commissioned by The Observer, Farage is the least popular political leader among those who will be able to vote for the first time in the forthcoming general election. Young people aged between 17 and 23 are overwhelmingly pro-European, socially liberal (eg in favour of gay marriage and retaining the Human Rights Act), and much more likely to call themselves “feminist” (40% of both genders) than older voters (25%). Nearly half (48%) regard immigration as a good thing. Only 3% would vote for Ukip, with the Lib Dems on 6%, the Greens on 19%, the Tories on 26% and Labour in a clear lead at 41%. Sadly, 65% would retain the monarchy, but us old lefties can’t have everything our own way, can we? Hopefully, the youngsters will learn on that one. And, it must be noted, things look much less encouraging in Scotland, where Labour’s election of the craven Blairite Jim Murphy has proved to be the gift to the SNP that many of us warned it would be: as things stand (according to a Guardian/ICM online poll) Sturgeon’s nationalist fake-leftists stand to take 45 of Scotland’s 59 Westminster constituencies reducing Scottish Labour to a parliamentary rump of just 10 MPs (presently it’s 41). With Murphy at the helm, it’s difficult to work up much enthusiasm for a Labour vote in Scotland, and we’re reduced to making the (true, but uninspiring) point that every seat won by the SNP will make it less likely that Labour will win a majority, and more likely that the Tories will be able to hang on in there. Depressing eh? So let’s comfort ourselves, for now, with the knowledge that, on most issues at least, the nation’s youth are pro-European, socially liberal, have no time for Farage and are likely to vote Labour in May. So there are some grounds for hope for 2015, and beyond, comrades! By Samuel Farber at the excellent US Jacobin magazine and website. (Farber was born and raised in Cuba. He is the author of Cuba Since the Revolution of 1959: A Critical Assessment). The resumption of US – Cuban relations is a real victory. But Cuban workers face renewed economic liberalization with little political opening. On December 17, 2014, Washington and Havana agreed to a pathbreaking change in a relationship that, for more than fifty years, was characterized by the United States’ efforts to overthrow the Cuban government, including the sponsorship of invasions, naval blockades, economic sabotage, assassination attempts, and terrorist attacks. The new accord set free the remaining three members of the “Cuban Five” group held in US prisons since 1998 and, in exchange, Cuba freed the American Alan Gross and Rolando Sarraf Trujillo, a previously unknown US intelligence agent imprisoned on the island for almost twenty years, in addition to over fifty Cuban political prisoners. Far more consequential are the resumption of official diplomatic relations and the significant relaxation of travel restrictions and remittances to Cuba. The agreement covers the political normalization but not the full economic normalization of relations: that would require Congress repealing the Helms-Burton Act, signed into law by President Clinton in 1996. There were previous efforts to resume political and economic relations between the two countries since the United States broke ties in early 1961. The most important was undertaken by the Carter administration, which in pursuing an initiative originally undertaken by Nixon, renewed secret negotiations with the Cuban government in 1977, when the Cuban exile right-wing in South Florida was still a negligible political force. The two countries made mutual concessions that included the establishment of diplomatic “interest sections” in Washington and Havana and the lifting of the ban on tourist travel to the island, a restriction later reinstated by Reagan in 1982. In the wake of the Carter-Castro negotiations, the Cuban leader released most political prisoners, of which about 1,000 left for the United States, and in 1979, Cuban-Americans were, for the first time, allowed to visit their relatives on the island. Yet the reconciliation process came to a halt. While the presence of US troops throughout the world was taken for granted by Washington as an imperial entitlement, the deployment of Cuban forces in Africa became an obstacle to the normalization of relations. Many in the US blamed Castro’s foreign involvement as the decisive reason for the collapse of the talks both under Nixon and Carter. But there were other more important factors at work. For one thing, the Carter administration was itself divided on the question. Secretary of State Cyrus Vance supported the resumption of normal relations with Cuba, while Zbigniew Brzezinski, Carter’s powerful national security adviser, opposed the move. But it was domestic political developments in the US unrelated to Cuba, that ultimately stopped the process. The American right was becoming agitated over the negotiations concerning the transfer of the Panama Canal back to the Panamanians. In September 1977, Carter suspended negotiations with Cuba until after the Canal treaties were ratified by the Senate. The suspension turned out to be indefinite. Faced with attack over Panama, the Carter administration decided to shore up its right flank by adopting a tougher posture on Cuba, a stance that was shortly after reinforced by the victory of the Sandinista revolution in Nicaragua, and by the political weakening of the Carter administration as a result of the Soviet invasion of Afghanistan and the Iranian hostage crisis. A child was born in La Place, Louisiana on 25 December 1886: Edward “Kid” Ory, the Grand Daddy of all jazz trombonists. Mutt Carey (trumpet); Darnell Howard (clarinet); Buster Wilson (piano); Bud Scott (guitar); Ed Garland (bass); Minor Hall (drums). Other drinks have sprung up in imitation with the same coffee and cream content but with other spirits as a basis, like Benedictine, which gives Monks’ coffee, and Drambuie, which gives Prince Charles’s Coffee — yes that’s what the UK Bartenders Guild call it. Of those I’ve tried, none compared with the original. Except for being warm, the next drink could hardly be more different. This is the Raging Bull, an Amis original, though no great powers of invention were called for. Make Bovril in a mug in the ordinary way and stir with a shot of vodka , a couple of shakes of Worcester sauce and a squeeze of lemon juice (optional). That’s it. Very heartening in cold and/or hung-over conditions. Now, an unusual evening warmer, the Broken Leg. having had a real broken leg myself earlier this year I puzzle over the significance of the name, but the drink’s straightforward enough. Slowly heat about a quarter of a pint of apple juice in a saucepan with a few raisins, a cinnamon stick and a lemon slice. When it starts to bubble, strain into a preheated glass or mug. Pour a couple of ounces of bourbon whiskey into the pan, warm for a few seconds and pour into the remainder. Formula from John Doxat. Lastly, American Milk Punch. You drink this cold, but it’ll soon light a fire in you. The previous evening — this is the hard part put milk instead of water into your refrigerator ice trays. On the day, mix thoroughly in a jug one part bourbon whiskey, one part French cooking brandy and four parts fresh milk. 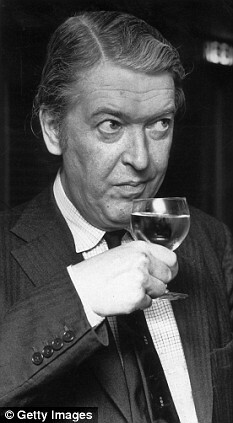 Pour into biggish glasses, drop in milk cubes, stir gently, dust with grated nutmeg and serve. This punch is the very thing for halfway through the morning of Boxing Day, when you may be feeling a little jaded and need a spot of encouragement before some marvellous treat like the sons-in-laws coming over for lunch. In fact, it can be treated as Snowy Mary, sustaining as well as uplifting, and much kinder to the digestion than the old Bloody Mary, a delicious drink, I agree, but full of acid fruit juices. Remember the Milk Punch for the New Year as a heartener before air trips, interviews, etc. Christmas is traditionally a time when we behave kindly to our fellow human beings and push goodwill about all over the place. Well, to get myself into any kind of shape for being nice to others, I’ll have to take a lot of care of myself — and no more devotedly than in the sphere of drink. I intend to see that I have ample supplies of the few key items without which my Christmas would be a mockery, leaving me with no good will to spare for anyone. My list leads with the Macallan Highland malt whiskey, my Drink of the Year (also of last year) and widely regarded in the trade as the king of malts. The flavour’s rich, even powerful, but completely smooth, as smooth as that of a fine cognac, and immediately enjoyable. Over Christmas I’ll be staying off it until comparatively late in the day, because the only drink you want after it is more of it. Macallen comes in various strengths and ages. I’ll be going for the standard 40 per cent alcohol at ten years old rather than the Macallen Royal Marriage, a unique blend of whiskies from 1948 and 1961, the couple’s respective birth years — wonderful stuff but a bit steep at £26. I’ll also need a malt of a different type for when I’m not drinking the Macallen, selected from Highland Park, Isle of Jura, Tormore, Bowmore. And a good blend, preferably Famous Grouse, both for itself and for the interesting results if you move to a malt after it. Must check that the Dry Martini makings arte in place — Gordon’s gin, Martini Rossi dry vermouth, and a jar of the largest possible hard, white, acid cocktail onions, much more of a sweat to find than the gin and vermouth. Check too on basic Bloody Mary makings — vodka, Worcester sauce and expensive tomato juice. I won’t be able to resist spoiling myself with some Musca de Beaumes de Venise, a sweet white wine from the Rhône that’s been tremendously successful here in the last couple of years. Made with the muscatel grape, fruity, flowery, and all that, an ideal desert wine, good with melon too. We’re now beginning to deal with luxuries and treats, rather than the sheer necessity of Scotch or gin. Among liqueurs I’d certainly favour Kümmel, which with its caraway flavour does seem to take the fullness off after the plum pudding. Or a gross concession to guzzling like Bols apricot brandy or cherry brandy. But I’ll probably end up with Drambuie, drinking some of it cut 50-50 with my malt whisky, if I can spare any. Back to the realm of stark need with the question of beer. I’ll be filling the refrigerator as full as I’m allowed to with large can of Carlsberg Special Brew and about half as many of the ordinary Carlsberg Pilsner Lager. Special Brew is a wonderful drink, but after a certain amount of it you do tend to fall over. Diluted with a weaker version of itself it gives you a longer run. To quaff the two of them half and half, really cold, out of a silver tankard produces as much goodwill as anything I know. Most jazz attempts at Christmas tunes are dire – especially traddie versions. At this time of year, those of us without Christian religious convictions attempt to make the best of things by celebrating goodwill and love towards all humanity. For those of us in the jazz community, nothing can express this better than Mr Jackson Tea and his old friend Louis singing and playing ‘Rockin’ Chair’: the affection – indeed, love in the truest, platonic, sense – is obvious. It transcends all racial, cultural and other artificial divisions of humanity. 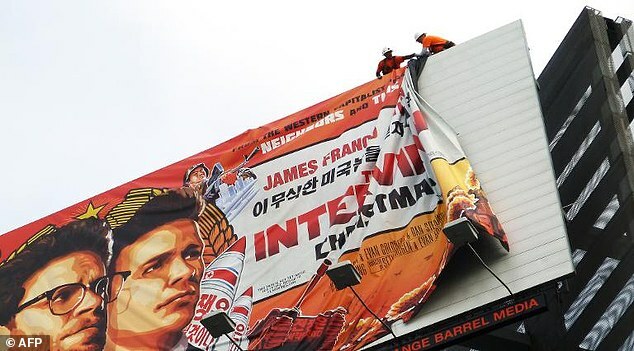 EXCLUSIVE: As it begins to dawn on everyone that Sony Pictures was the victim of a cyberterrorist act perpetrated by a hostile foreign nation on American soil, questions will be asked about how and why it happened, ending with Sony cancelling the theatrical release of the satirical comedy The Interview because of its depiction of North Korean dictator Kim Jong-un. One of the issues is this: Why didn’t anybody speak out while Sony Pictures chiefs Amy Pascal and Michael Lynton were embarrassed by emails served up by the media, bolstering the credibility of the hackers’ threat to blow up theaters if The Interview was released?